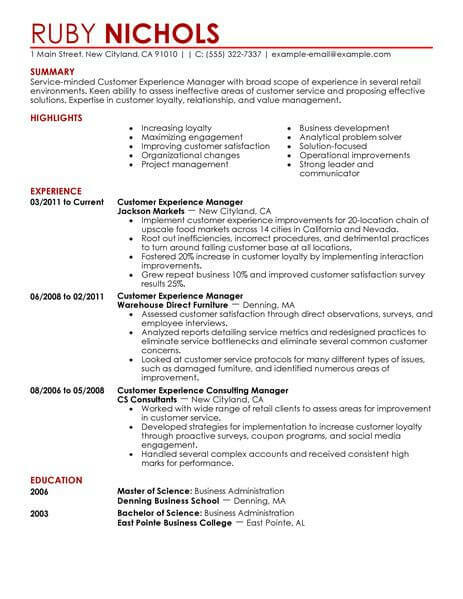 Since a customer experience manager’s job is to create an enticing environment for shoppers, shouldn’t their resume be enticing as well? Customer experience managers implement organizational changes and procedures designed to create a pleasant environment in a retail store. To land the job you want, be sure to list all of your customer experience and customer service experience. Highlight skills such as project management, business development, and strong communication skills to stand out from the crowd. Be sure to list your degrees, especially if they are relevant to the job, like business administration. 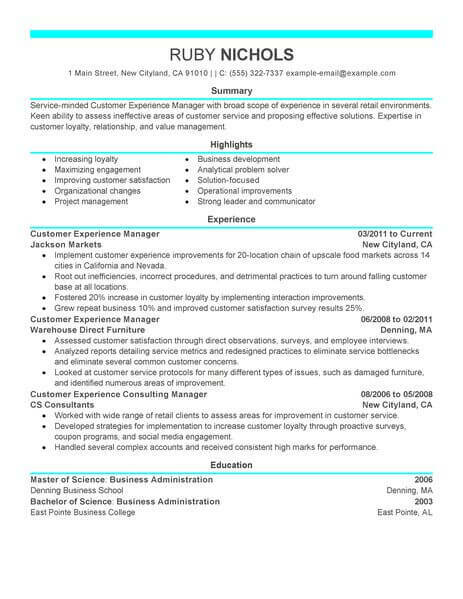 For more ideas on how to make your resume stand out, take a peek at our customer experience manager resume example. A customer experience manager in a retail environment needs experience in retail sales, strong customer service skills, a desire to succeed–and a great resume. 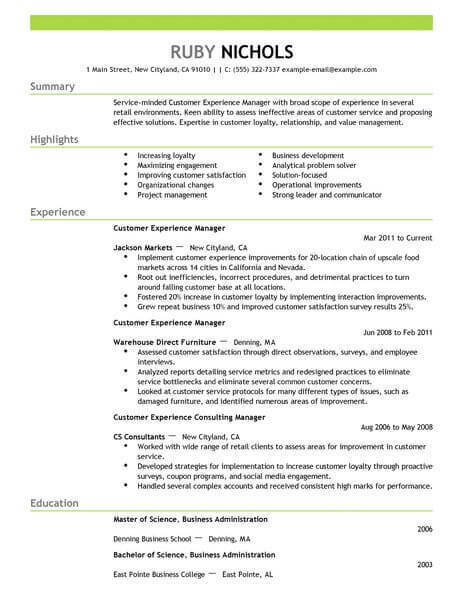 We’ve created the customer experience manager resume examples below as models to help you build a resume that will grab hiring managers’ attention quickly. 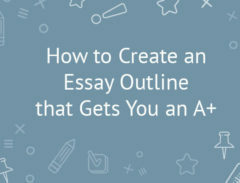 Just use these resume examples as a starting point, and edit the pre-written text to fit your background. Get started today and get the job you want faster! Finding employment involves using the right job search approach, and that approach is the same whether you are looking for jobs as a customer experience manager, Chicago or anywhere else in the U. S. Here are a few tips to help make your job search more successful. 1. Plan to do something job search related each day. For instance, find several potential jobs of interest, refine and tailor your resumes, apply for the positions, network and follow up on leads. 2. Network by talking to friends and colleagues, use social media sites likes Facebook, Twitter and LinkedIn and attend job fairs. The more contacts you make the better the chances of finding a job. 3. Don’t limit your search to online job boards. Reach out to job centers and employment agencies which can put you in touch with other potential job opportunities. 4. Follow up on every resume and application you submit. In this age of texting and emails, picking up the phone and personally checking on position status makes you a person rather than a piece of paper to a potential employer. 5. Be prepared for the job search to take a while. Consider freelancing or part-time work until a full-time position comes along. Many companies hire individuals with specialized knowledge or skills on a project to project basis. This is a great way to earn money and increase your skills. Resumes are the first impression most employers will have of an applicant. Regardless of industry, position or career goals, a winning resume is key to getting jobs as a customer experience manager and everywhere else. Consider the following do’s and don’ts as you construct your resume. 1. Do provide necessary contact information. Include a telephone number, an email address and a mailing address to ensure potential employers can reach you when necessary. 2. Don’t include references on your resume, and remember that including the statement references available on request is optional. 3. Do manage space effectively. 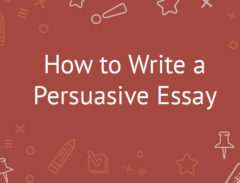 Most employers spend about six seconds on each resume, so use bullet points to emphasize your accomplishments as they pertain to the job for which you are applying. 4. Don’t list hobbies, interests or other irrelevant information. Many employers consider this filler material that takes up space that could be used to highlight your job skills. 5. Do proofread your resume carefully and frequently. Misspellings, typos and errors in grammar and punctuation make you look unprofessional and careless.